Authors: Lin G., Sheng X. Since the high-speed maglev line in Shanghai was put into operation in 2003, it has been running safely for 15 years, maintaining the highest speed of public ground traffic 430 km/h and 99.8~99.9% punctuality. Since 2001, China ministry of science and technology (MOST) has been supporting the research and development of high speed maglev transportation technology. In 2016, under the support of the MOST, China Railway Rolling stock Corporation (CRRC) started to lead the program of engineering research of Maglev. The aim of the program is to develop 600 km/h high speed Maglev system and 200 km/h medium speed maglev system. The newly developed high speed Maglev system could be tested, verified and applied on the planned Shanghai - Hangzhou high speed Maglev line. Since the operation opening of Changsha Maglev Airport Express Line in May 2016, Hunan province has planned to build more maglev line with top speed 100–160 km/h. Following the operation of urban maglev in Changsha and Beijing, the Qingyuan Maglev line in Guangdong province began to build at the end of 2017. The new maglev line will connect hot spring tourist attractions and Changlong theme park (animal park) in 2019. 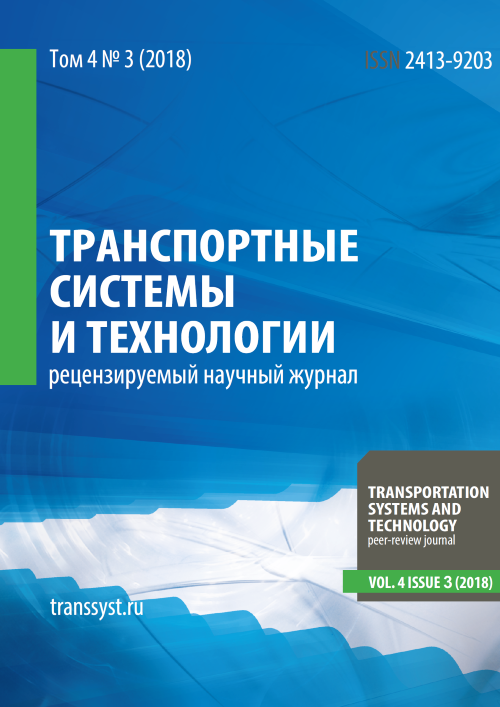 This paper introduces the application and construction of maglev transportation in China, recent R&D status, further plans and trend of development. high speed Maglev, urban Maglev, transportation, application. Shanghai Maglev Demonstration Line (SMDL) started its trial operation on a single track at the beginning of 2003, was began shuttle running on the double track in September of 2003 and completed the test and acceptance at the end of 2003. The year of 2004 witnessed its beginning of commercial operation according to the operation schedule. Currently the train runs at the highest speed of 430 km/h in the day and 300km/h in the morning and evening. Up to 21st June 2018, the maglev train on SMDL has covered a mileage of about 17.9 million kilometer and carried passengers of about 53.3 million person-times (Fig. 1). In the past years, the maglev system has undergone bad weather such as hurricane, dense fog, heave rain and heavy snow, no operation has been interrupted by extreme bad weather, nor accidents that injured people have happened. Statistical results of the past years since 2005 show that average operation punctuality rate reaches 99.85 % and 99.93 % of the operation schedule is fulfilled, as shown in Fig. 2 and Fig.3. The system has reached to top availabilities as a passenger transportation system. Fig. 2. Rate of punctuality on SMDL. The over 15-year operation of SMDL proves that Transrapid Maglev technology is mature and applicable as a high speed transportation tool. Till the end of 2017 a total mileage of 26,000 kilometers of high-speed railway network has been built and put into operation. According to the railway network development plan, till 2025 the high-speed railway mileage in operation in China will reach 38,000 kilometers, and the maximum operation speed for the main line should be 350 km/h. It seems that there is no need and no appropriate space to apply high speed maglev system in the short term future. The planning work of maglev application project in Shanghai and near Shanghai were braked because of opinion division in the decision – making level in 2011. Also many experts still think, he high-speed railway with maximum speed 350 km/hand travel speed less than 300 km/h attracts passengers from the 500–800 km distance aircraft to track traffic. Between the capital Beijing economic circle and the Yangtze River Delta, between the Yangtze River Delta and the Pearl River Delta economic circle, the distance is above 1000 km, the three-hour fast comfortable travel, a day trip demand for business travelers will increase along with economic development. If the further lifting traffic speed to the 500 km/h through the maglev technology, travel speed can reach more than 430 km/h, which is between the wheel/rail high-speed railway and aviation, will help attract middle and long distance air travelers, thereby reduces traffic dependence on fossil energy, and reduces carbon emissions. It means that even with the high-speed railway network, still exist in the transportation development space and demand for high-speed maglev. In order to keep operation of Shanghai Maglev Demonstration Line for a long term and promote the further application of maglev technology in China, the MOST has arranged maglev further development program in the “13th Five Year Plan” (2016–2020), and entrusted CRRC to organize implementation of the Maglev R&D task. The new aim of the Maglev program are the development of 600 km/h high speed maglev train and 200 km/h medium speed maglev train. CRRC Qingdao Sifang Co., ltd. leads the research on high-speed maglev vehicle and the CRRC Zhuzhou Electric Locomotive Co., ltd leads the research on medium speed maglev vehicle. The exchange and cooperation between China and Germany are playing an important role in the promotion of the project. The feasibility study of Shanghai-Hangzhou Maglev line (ca.170 km long) was completed in March 2008, but it was suspended by the formal Ministry of Railway (MOR) who preferred the high speed railway system at that time and was afraid of that the Maglev extending project would disturb the construction plan of high speed railway. Now the large network of high speed railway is completed or planned, the 10 year's suspended Shanghai - Hangzhou Maglev feasibility study was started again in May 2018 by China Railways Corporation. Because the reserved corridor is much higher urbanized than ten years before and the noise impact problem along the elevated track will be difficult to resolve, underground track with low pressure vacuum pipe concept will be studied in the feasibility study review. It should be possible to provide the running test condition for the newly developed 600 km/h high speed maglev operation systems in the first section of the application project. The newly developed high speed Maglev systems could be tested, verified and applied on the planned Shanghai - Hangzhou high speed Maglev line. China is in the rapid urbanization period. The urbanization reached 58.52 % in 2017. In 2030 the Chinese urbanization rate will reach 70 %, which means that each year there will be about 13 million population into the cities. Currently there are 13 cities with population of more than 10 million people, 88 cities with population of more than 5 million people. In Beijing, Shanghai and other large cities, there have been more and more serious traffic and environmental problems. The high-speed urbanization has brought serious challenges to the traffic development of large cities. Since 2000, Chinese auto market has developed rapidly and the auto possession increased to 217 million vehicles till end 2017, It has increased by 11.85 % than 2016. China has become the world's largest car market. Road congestion, air pollution, energy shortages makes the rapid growth of the auto being questioned. In the past ten years, large cities gave priority to the development of rail transportation as the main measure to solve city traffic problems. Compared with the Subway and elevated light rail, The maglev transportation system has lower noise, smaller curve radius and higher slope, and suitable for elevated, and has about 50~60 % less cost than metro system. Since 2010 some application urban maglev lines have been planned and from those Changsha airport Maglev line and Beijing S1 Maglev line and were built finally. Changsha maglev project connects the airport and south station of high speed railway, has line length of 18.5 kilometers, all elevated, with three stations. 5 trains with 3-section configuration are put into operation in the early phase. The project was officially put into public operation in May 6th 2016. Up to May 2018, the maglev train on Changsha line had covered a mileage of 2 million kilometer and carried passengers of about 6.2 million person times. Statistical results of the past 2 years show that average operation punctuality rate reaches 99.85 % and 99.95 % of the operation schedule is fulfilled. Beijing maglev application line is called S1 line. The line whole length is 10.2 km with 8 stations. 10 trains with 6-section configuration are put into operation in the early phase of the project. This project has been started in October 2013 and put into public operation in at end of 2017 (Fig. 6). Since public operation of Changsha maglev, the Hunan Maglev Transportation Development Co. has received visit guests related to urban planning from more than 70 cities in the world. Some urban maglev application line are planned in different cities especially in Qingyuan, Guangdong Province, Chengdu, Sichuan province and Zhangjiajie, Hunan povince and so on. The construction of Qingyuan line in Guangdong province was started at the end of 2017 and was expected to operate at the end of 2019. The whole length of first phase of Qingyuan Maglev line is 8.03 km with 3 stations. This Maglev project is designed as tourism special line which connects hot spring tourist attractions and Changlong theme park (animal park). The extension line to connect other tourist attractions and railway station is planned. In order to meet the needs of Urban Maglev, the following research and development work is being carried out in the field of Maglev transportation research and development in China. The new vehicle types with the highest running speed of 160-200 km/h are developed by 4 different groups. The long stator synchronous motor is applied by urban maglev vehicle. The permanent and electromagnetic hybrid magnet is introduced and studied for the new type of levitation system. 3) Reduce noise impact through improving the power rail and current pick-up. 4) Enhance the propulsion and braking system, increase the power of linear motor and propulsion inverter. 6) Improve contact current collection system to adapt to higher speed, reduce noise and wear, prevent icing. High speed maglev transportation system provides a technical and economical choice of land transportation mode within the speed range between high speed wheel-on-rail railway and aviation. In terms of the internationally accepted concept of 3-hour comfort travelling, it is suitable for medium and long distance passenger transport. The high speed maglev will provide a new planning alternative for the comprehensive transportation system and improve its service quality and efficiency if it is introduced between the high speed wheel-on-rail and aviation systems. After 10 years' suspension, Shanghai - Hangzhou Maglev project feasibility study was restarted and it should be possible to provide the running test condition for the newly developed 600 km/h high speed maglev systems in the first section of the 170 km long line. Under the background of vigorous development of rail transport in China’s large and medium cities, there is a certain developing room for the urban Maglev system. The successful implementation and operation of Changsha Maglev project is promoting wide application of urban maglev in China and further research and development. This work is supported by the National Key Technology R&D Program of the 13th Five-year Plan, "Research on Key Technologies of Medium Speed Maglev Transportation System" (No. : 2016YFB1200601) and Hunan provincial science and technology major project, "Integrated Technology Engineering and High Reliability Operation Demonstration of Medium and Low Speed Maglev Train" (No. : 2015GK1001). Copyright (c) 2018 Lin G., Sheng X.